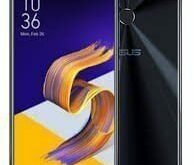 Download Asus Zenfone Flash Tool Latest Version Updated. If you are thinking of either updating your Asus Zenfone or downgrading it, the Zenfone Flash tool allows you to just that. You just need to have the correct firmware downloaded for your device. It’s rare that these flash tools allow for backup of any sort but fortunately, Asus Zenfone Flash tool allows you to backup apps and then restore them to your phone afterward. These apps can vary from stock system apps to apps downloaded by the user. The UI is very straightforward. 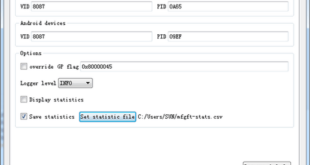 Once you select your file and start the procedure, the program will display a live progress bar showing activity. This is useful to make sure that data is being transferred and the program hasn’t stopped. You can download the latest version of Asus Zenfone Flash tool from right below. This tool is windows only. 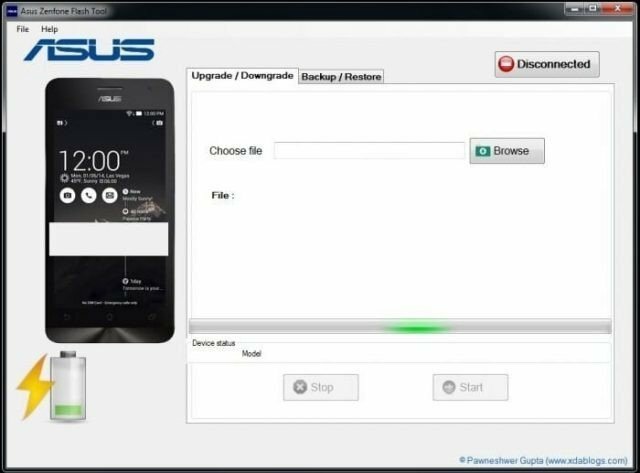 Step 5: Now, Connect your Asus Smartphone or Tablets to the computer. Step 6: Now, Click on the Disconnected button to Connect your device to the Tool. Step 7: Once, your device is successfully connected, you will be able to see Connected with Greenlight. Step 8: Now, Click on the Browse button and locate the Asus Firmware on your computer. Step 9: Once Firmware is loaded, click on the Start button to begin the flashing process. Step 10: Now, your device will restart automatically. Step 11: Now, Press and Hold Volume Down + Volume UP key to boot into the recovery mode. Step 12: Now, Under the recovery mode Select Apply Update from ADB. Step 13: Now, Click on Resume Button to resume the Flashing process.